Now the final Programme is ready - find it here﻿. in June 2018 to Copenhagen organized by Department of Plastic Surgery, Breast Surgery and Burns Treatment Rigshospitalet Copenhagen University hospital and Depart of Plastic surgery, Herlev University Hospital, Copenhagen. The conference takes place June 13-16, 2018 at the Scandic Copenhagen in the center of Copenhagen, an efficient place of understated Scandinavian coolness. 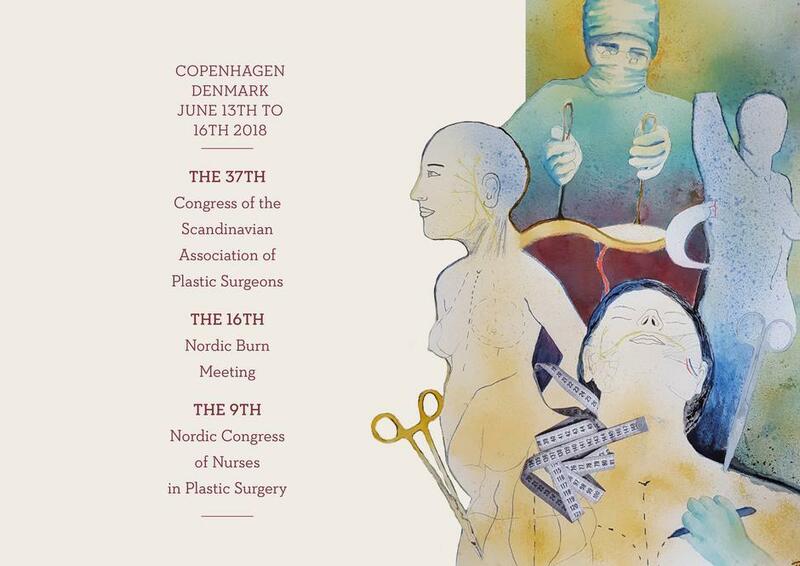 For the second time we include the biannual burn meeting in the Scandinavian Association of Plastic Surgeons and Nordic Congress of Nurses in Plastic Surgery, and expect to cover all areas of Plastic Surgery. We are a specialty with great variety in procedures, patient category and daily routines, however as plastic surgeons we share the same training and same approach to problems. We reconstruct by shaping and moving tissue. The Nordic countries share a common history and culture and our training program is similar. We wish to strengthen this bond and make a congress that is both on the highest international level, but also with a Nordic focus and possibility to share experience and challenges. Besides from covering the many areas and contemporary topics of plastic and reconstructive surgery we would like to bring focus on the management of scars, prevention, treatment and evaluation of scars. This is an unavoidable part of our challenge as plastic surgeons. The programme will appeal to both trainees and specialists. We are happy to announce that we have accepted just over 100 abstracts for oral presentation and 40 posters on a variety of subjects. Burns, scar management, adipose tissue and stem cells, Breastreconstruction with implants and autologeous tissue, microsurgery, head and neck reconstruction, congenital malformations, research and training, skincancer and aesthetic plastic surgery. Combined with esteemed invited speakers and chosen panels we expect a professionally rewarding and socially great congress with opinions to be shared and challenged.